We love to incorporate your personality and style into your special event. These special touches make your event different from any other. These are also things that you and your guests will remember for a lifetime. In addition to making sure everything flows seamlessly and looks gorgeous, we aim to WOW your guests and have them walk away from your event with a memorable experience. We know that planning any event can be a stressful process. We work our hardest to alleviate this stress from our clients. Our style of planning and design is very relaxed yet structured. 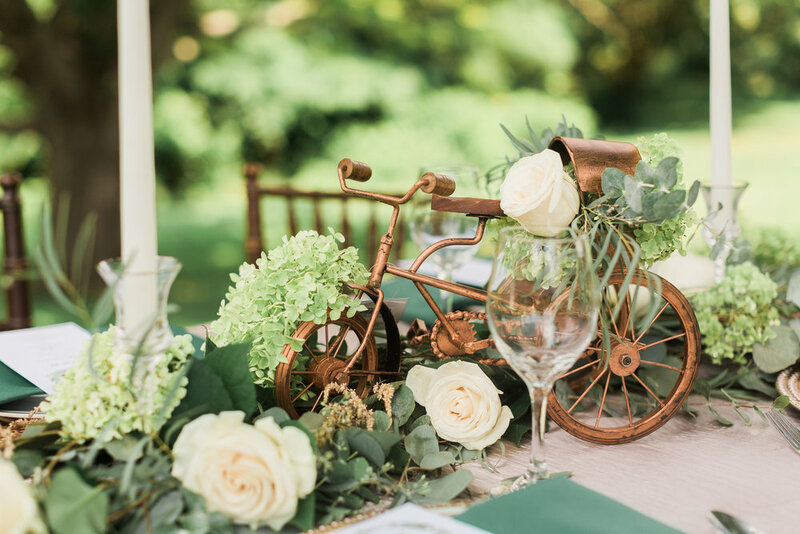 Our goal is to make you feel like you've been working with a really good friend who just happens to be an amazing event planner and designer. From full planning to day of management, we've got the expertise to coordinate all aspects of your special event. Your journey starts with a complimentary consultation. In this meeting, we'll discuss the scope of your event and your vision for your dream wedding, corporate function, or special occasion. Next, we'll develop an event plan with monthly checklist. We feel that our planning services are superior in giving you the best recommendations on venues and/or key vendors to meet your vision and budget. We have extensive experience designing and styling decor for weddings and special events of ALL budgets. We start by understanding your style and vision for your event in a complimentary consultation. Then, we create a custom mood board for your event complete with linen swatches. After alignment on final budget and design, we create a full event design strategy, identify and contract all decor related vendors, and manage all the day-of decor specific set-up and tear down. We believe that floral arrangements are among the most important aspects of creating the perfect ambience for your wedding or special event. For floral design services, a complimentary consultation is the first step. We use this consultation to get an idea of your style, must-haves, and nice-to-haves...we love when our clients bring lots of photos. If you have a clear vision of what you like or don't even know flower types, we most definitely can help you. Contact us today to get your complimentary consultation and quote for your next event! With 7 weeks before my big day... I had to reach out for a wedding planner and that's where I came across Amanee (Exquisite Events). She was very brilliant and creative with the ideas I was wanting for my wedding. When my big day came... I was so amazed and very pleased with how it turned out. The wedding looked gorgeous and with her ideas and how I wanted it... It was perfect. I would definitely use Amanee's service in the future. She is kind and listens to you and what you are looking to get done. It was a pleasure working with Exquisite Events to organize and co-ordinate our wedding. Exquisite Events' true professionalism and expertise was very instrumental in making our wedding day a success. They worked with us to create a design to transform an empty shell of a room into a vibrant party location. They were very attentive to details...taking the stress out of us having to consider any of these details. We would highly recommend Exquisite Events for future event planning – they were well worth the investment.